Most Android manufacturers have now switched to a two-flagship release cadence, with Samsung fielding the Galaxy S and Galaxy Note series, and LG getting into the game with its mainstream G series, followed by the G Pro and more recently, the V10. Even HTC has decided to go with dual high-end devices this year with the launch of the A9. Sony’s answer to the two-flagship portfolio was to go with a half-yearly refresh cycle for its Xperia Z series. The move, although aimed at launching iterative designs with the latest hardware, made it all the more confusing for buyers. It resulted in devices such as the Xperia Z2 and the Xperia Z3 staying on store shelves for barely three months before their successors were announced. Now it’s time for the Xperia Z5, the fifth variant in this series in just two years. This time around, Sony decided to launch a Compact variant — a mini variant of the Xperia Z5 with a 4.7-inch screen — and a new entrant dubbed the Xperia Z5 Premium, the first phone to come with a 4K screen. 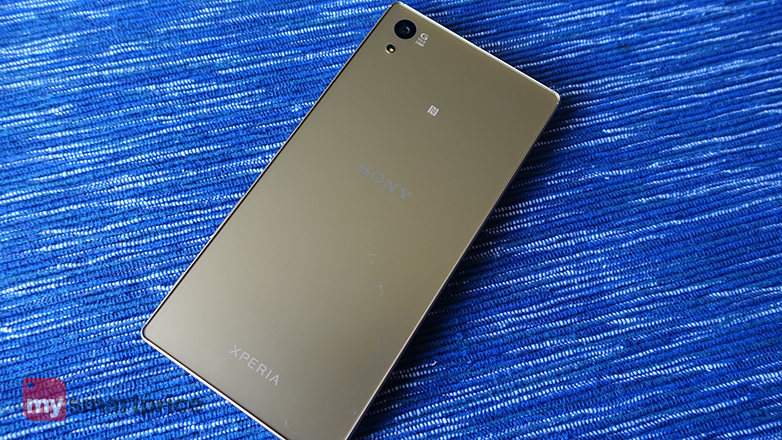 More on that later, but for now we’ll be focusing our attention on the Xperia Z5. While it does not differ much from its predecessor, the Xperia Z3+ in a lot of areas, Sony has introduced a new camera sensor for the first time in over two years. With high-end devices this year raising the bar when it comes to imaging, Sony has its work cut out to match the likes of Samsung and LG in this segment. Not to mention the fact that with mid-rangers getting better and better, the field for flagships is slowly diminishing, and customers are increasingly looking for that “wow” factor to justify the purchase of a device that costs upwards of ₹50,000. 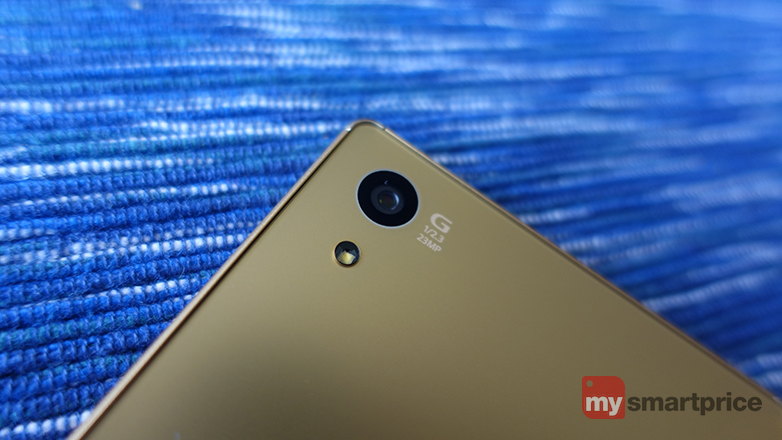 Does the Xperia Z5 have that allure? Let’s find out. Sony has done a remarkable job in terms of design since it decided to break away from its collaboration with Ericsson. 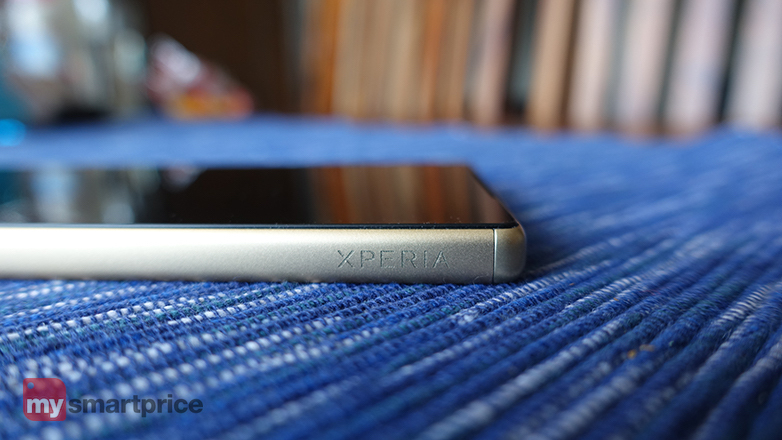 The Xperia Z line has always stood out for its design, which hearkened to a candybar-esque form factor. The OmniBalance design— which is now in its fifth iteration — feels finally complete, with the overall effect conveying a sense of class. Also, new in this generation is a frosted glass back that feels discernibly different when seen against older Xperia handsets. It does feel more premium from a design standpoint, but at the same time, the whole back now feels much more slippery. The power, volume and camera shutter buttons reside on the right, and at the bottom you’ll find the Micro-USB charging port. Up top is a 3.5mm audio connector, and on the left you’ll find the SIM card slot — which can hold two NanoSIM cards — as well as the microSD slot. While the two-stage camera shutter button is excellent, the placement of the volume buttons under the power key makes it harder to increase or decrease the volume when holding the device one-handed. With dimensions of 146 x 72 x 7.3 mm and an overall weight of 154g, the device isn't the thinnest or the lightest around, but it does have a certain heft to it that immediately registers once you hold it. 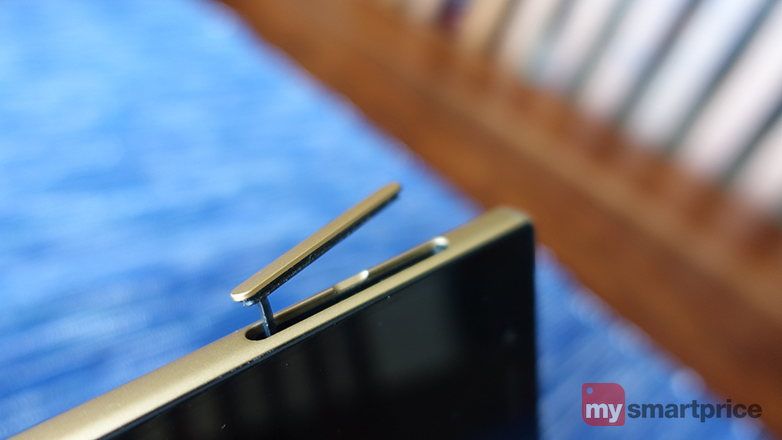 One of the major changes this year in terms of the hardware design is the power button. Gone is the prominent round button that we’ve gotten used to, and in its place the device now features a flat, wide button that houses a fingerprint sensor. Several manufacturers have implemented fingerprint sensors this year, and with Android 6.0 natively supporting the feature, we’re only going to see more high-end devices ship with this feature enabled. Sony’s decision to build the sensor into the power button allows for a more natural authentication procedure, as you can quickly unlock the phone with your index or middle finger when holding it one-handed. The phone is IP68 certified, which means that you can dunk the Xperia Z5 in up to meter of water for 30 minutes and still have a functioning device. The slot housing the SIM cards and SD card comes with a flap, but the Micro-USB charging port and the 3.5mm audio jack —thankfully — do not. Sony does mention that if you happen to submerge the device, you’re better off waiting for any water to dry off from the Micro-USB charging port before plugging the device in. 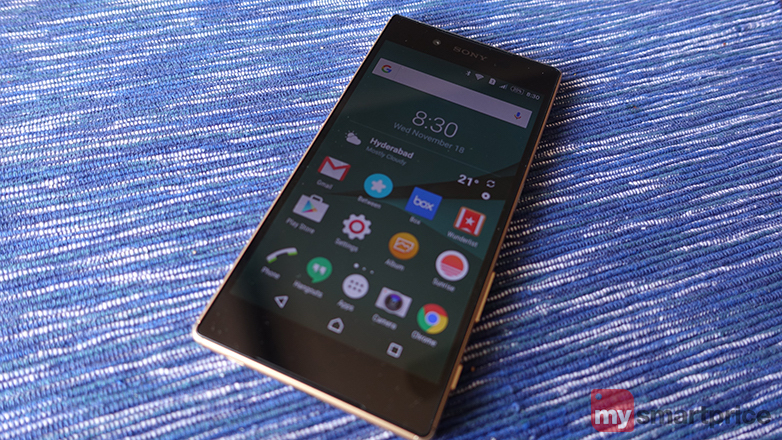 Sony certainly knows how to make a great display, a fact evident on the Xperia Z5. 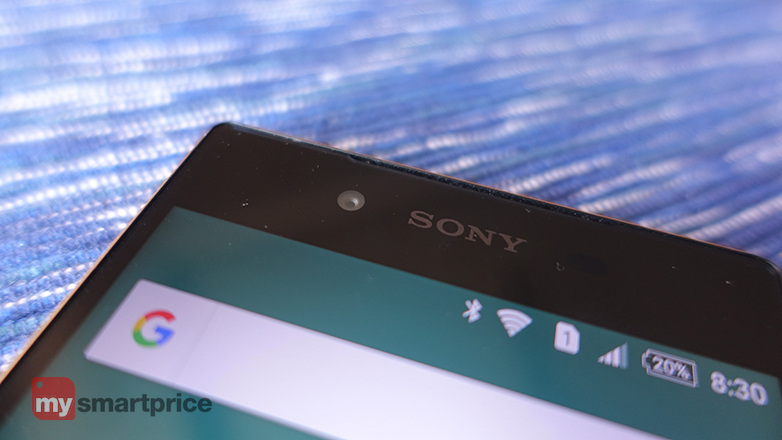 The Xperia Z5 features a 5.2-inch screen and the vendor’s Triluminos technology and X-Reality engine for mobile. It also boasts of excellent black levels. The screen — as should be the case for a high-end device in 2015 — is backed by Gorilla Glass 4, which gives it adequate protection against tumbles and scratches. While other vendors are increasingly pushing more dense displays, Sony has managed to stick with a more sensible Full HD IPS LCD panel on the Xperia Z5. Coming from the LG G4, there is barely a noticeable difference in the image quality, and with a pixel density of 428 PPI, it puts out content that’s crisp. Overall colour accuracy tends to be on the warmer side, but if you’re looking for a more saturated image, you can fiddle with the colour balance from the settings. Outdoor visibility is an area the Xperia Z5 excels in, with a maximum brightness of 603 nits in Auto mode. 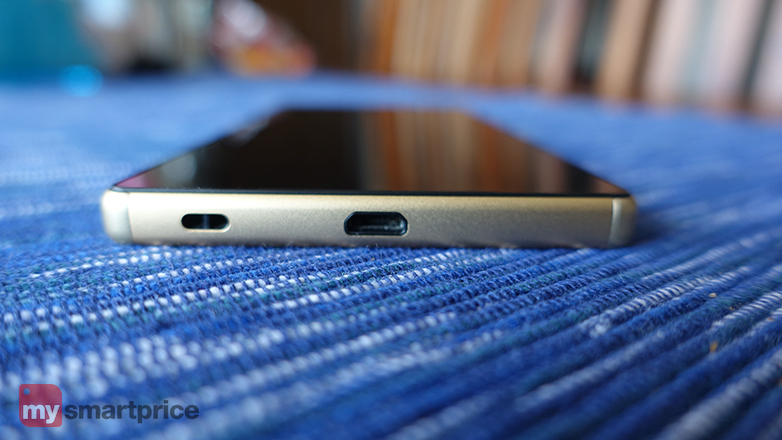 The Xperia Z5 has everything you’d expect in a flagship in late 2015. Under the hood, the device is powered by an octa-core Snapdragon 810 SoC, which has four Cortex A53 cores clocked at 1.5GHz and four Cortex A57 cores at 2.0GHz. The Adreno 430 GPU ensures that any gaming-related tasks are handled without any issues. Other specifications include 3GB of RAM, 32GB internal memory, and a microSD card slot that can accommodate up to 200GB of memory. In terms of connectivity, the Indian variant of the Xperia Z5 (E6653) comes with two dual SIM card slots, both offering 4G connectivity. There’s also Wi-Fi b/g/n/ac, Wi-Fi Direct, Bluetooth 4.1 with A2DP, A-GPS, GLONASS, NFC and Miracast. Sony came under a lot of flak earlier this year with the Snapdragon 810-toting Xperia Z3+ over heating issues. In several instances, it rendered the device unusable, and the camera often shut down as the handset started to heat up well over what can be considered tolerable levels. Qualcomm’s hardware is partly to blame here as the same was seen with other handsets this year, but also, the design of the Xperia Z3+ itself did not leave any room for effective heat dissipation, which led to the overheating. Sony has since mentioned that it has sorted out the heating issues, and that certainly feels like the case with the Xperia Z5. The device does get warm after constant usage, but it is nowhere near the finger-melting heat that was associated with the Xperia Z3+. Sony has retained its signature design for its launcher, and even though the Z5 comes with Lollipop 5.1.1 out of the box, there are unmistakable characteristics that should be familiar to anyone who's used a Sony-branded handset in the past. That said, the UI has picked up some Material Design flair. 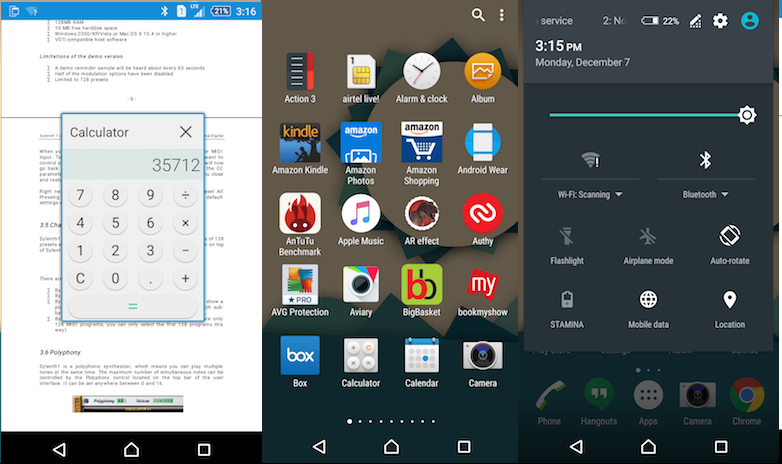 What's unchanged is the design of the icons for the stock apps, which do not go well with Android 5.1.1. Unlike LG and Samsung, Sony is sticking with a two-stage notification shade, which is similar in functionality to what you get with stock Android. You can also configure the quick settings toggles that you'd like to use in the notification pull-down menu. A two-finger swipe down gesture reveals the entire notification shade. The app drawer has one significant change. The left-most swipe-out menu, used to sort apps alphabetically, is gone, and those options are now accessible from the top right corner. Sony -- like Samsung -- offers "mini apps," which are overlaid atop existing apps, and function like widgets on the home screen. They come in handy if you're looking to quickly access information or undertake a quick calculation when in the browser. As with all high-end Android handsets available today, the Z5 comes loaded with a slew of bundled “utilities,” ranging from AVG to Hungama Play, Real Football 2015 and much more. Thankfully, these can be uninstalled, and you should absolutely go ahead and do that right after the first boot. There’s plenty of reason to be excited on the software front, and it isn’t directly related to Marshmallow. Sony has announced that it is overhauling the UI on its handsets through a program called Concept for Android. With the new UI, Sony is focusing on fast and smooth performance geared at maximising the battery life, with an overall design that’s more in line with stock Android. Manufacturers have dialed down on the amount of customisation offered through their UI skins in recent times, which has partly to do with the revolutionary way the design of stock Android has changed since last year. The resulting changes will be great for the end-user as it means fewer pre-installed bloat to deal with, and a UI that isn’t bogged down by unnecessary design elements. The manufacturer is currently allowing Xperia Z3 owners the ability to beta test the early builds of its upcoming UI, and is actively listening to feedback on the same. There’s no timeline as to when Sony will start rolling out the new UI, but it should be a marked difference from what is currently available. Sony has iterated several times over the course of the year that its main focus going forward will be the image sensor division. To that effect, it has spun off the business unit into a stand-alone entity. While Sony licenses its camera sensors to most high-end devices available today, such as the Galaxy S6, LG G4 and even the iPhone 6s, its own Xperia Z phones have been bundled with the same sensor over the last three generations. That has changed with the Z5, as Sony is now rolling out the IMX300 sensor with an F2.0 24mm wide-angle lens with the handset. Right off the bat, the omission of OIS might seem like a glaring one, but once you start using the camera with some regularity, it doesn’t matter much. And Sony is bundling its digital image stabilisation, SteadyShot, which makes things slightly less jittery. Midway through our review, Sony rolled out a software update for the camera, introducing a more minimalistic user interface and the ability to move through capture modes -- such as manual, auto or video -- with a swipe gesture. You also get on-screen sliders to fine-tune the brightness and colour saturation of images. Using the camera in auto mode is as effortless as it can get, and this is where the two-stage shutter button is particularly handy. You can configure quick launch actions for the shutter button from the camera settings, and set it so that the camera launches and takes an image immediately upon launch. The interface in auto mode is spartan, and you get the capture button, along with access to settings, gallery, toggle flash and switch between front and rear cameras. The only annoyance we have with the new layout is that there's no convenient way to record video from the auto mode, as you'll have to swipe through to video mode to activate video recording. The fact that this setting was present before the update makes things all the more aggravating. Another interesting omission in auto mode is HDR, and while the camera automatically enables it from time to time, there's no option to toggle it from the settings. You'll have to go into manual mode for that. Manual mode lets you select the scene, and gives you quick access to White Balance. From the settings, you can choose ISO, toggle HDR, select focusing mode and more. While there are enough to choose from, the manual mode left us wanting for more, particularly when LG and Samsung offer a wide plethora of settings that allow you to tweak all facets of the camera on their flagships. The camera shoots oversampled 8-megapixel images by default in 16:9 format, but you can manually select full-size 23-megapixel images from the settings. Doing so however brings the ratio down to 4:3, but if you do want higher-resolution images, you can choose to shoot in 16:9 mode at 20-megapixel. You can also toggle geotagging, touch capture, grid lines and image preview from the settings. Now onto what it's like to actually use the camera to shoot images and videos. While the device is better than the Z3+ in this regard, Sony is yet to work out all the kinks. Try recording a video in 1080p for more than five minutes at a time, and you get a message saying that the device is getting too hot. Continue for two minutes following that message, and the camera shuts down automatically as the device enters cool-down mode. We haven't seen anything as drastic when shooting images, but the video-related issues continue to be a thorn in Sony's side, which is exacerbated when you consider that this camera does 4K. Furthermore, Sony's processing algorithm needs work, as it tends to soften the corners of the images in daylight conditions. In low light shots, it doesn't do enough to eliminate noise. That said, those are the only drawbacks, and we generally came away very impressed with the image quality (although that comes with a caveat). Pictures taken in well-lit conditions came out full of detail, with accurate colours and high dynamic range. The camera can hold its own against the best of what Samsung and LG have to offer, but that's only during daytime imagery. In less than stellar lighting conditions, the Z5 struggles to produce detail, with a lot of noise interfering with overall image quality. Watching videos on the Full HD screen is a delight thanks to the Triluminos tech. The sound quality is better than erstwhile Xperia phones thanks to stereo speakers at the front, but as we’re finding out, no other vendor has come close to matching what HTC has done with BoomSound. The sound quality on the Z5 is adequate — as is the clarity — but it isn’t anything that differentiates the device in this regard. With a Snapdragon 810 SoC and 3GB of RAM, it is self-evident that the Xperia Z5 will blaze through synthetic benchmark tests. This hasn't been an issue with high-end devices launched this year. The Xperia Z5 has no issues holding its own against the likes of the Galaxy Note 5 and the LG G4. The phone scored 4,128 on GeekBench 3, which was slightly lower than the iPhone 6s, but much better than the 3,478 managed by the LG G4. In AnTuTu, the device crossed the 50,000 mark, closely following on the heels of the One M9 and other Qualcomm-based high-end devices from this year. You’re not going to notice any stutters or lags, and that’s just as well considering the price of the Z5. It managed to get hot during an intense gaming session, but that is down to the metal body than the overheating nature of the Snapdragon 810. The fingerprint sensor works as claimed, and although you have to press the button — which is slightly recessed against the surface of the handset — to activate the sensor, the authentication takes barely a second. Call quality is the best we’ve heard from any phone we’ve used this far. It is clear that Sony has focussed all its attention in this area. You feel like you’re actually sitting next to the individual you’re calling, which in some instances may not be that great after all. With the Z5, one-day battery life is a guarantee. This year’s flagships have been a letdown in this regard, with the Galaxy Note 5 being the only other exception to this rule. Last year’s Xperia Z3 also stood out for its stellar battery life, and the situation is no different this time around. You’ll easily get a day’s worth of usage out of the 2,900mAh battery on the Xperia Z5, even if you’re solely relying on your LTE connection for browsing needs. With location set to high and connected via 4G, we managed to eke out a day and a half worth of usage, recording over three hours of screen-on-time. The Xperia Z5 comes with Qualcomm Quick Charge 2.0 tech built-in, allowing you to quickly top-up the handset when you need to. With the battery down to 10 percent, we charged the device for 15 minutes and saw the battery level go up to 45 percent, which is more than enough to last a half day’s worth of heavy usage. At the end, the Xperia Z5 is a device that can hold its own against the best of what LG and Samsung have to offer. But then again, it doesn’t seem outlandish to think that Sony can do so much more. The camera sensor has received a much-needed upgrade, but there is still the glaring omission of OIS, a fact exacerbated when you see that other high-end handsets come with image stabilization as standard. Then there’s the design of the device itself. While there is nothing particularly wrong with it — Sony has in fact managed to do a great job of iterating the design over the years — it feels stale somehow, when you see what the others are achieving. While its offerings are adequate, there is that je ne sais quoi missing, that one distinguishing factor that makes a device drool-worthy. Sony itself is largely to blame here thanks to its bi-annual release cycle, which means that in addition to the Xperia Z5 looking similar to earlier models in the series, it is now priced considerably higher than its predecessors. In a way, Sony is cannibalizing sales of its own devices, and for its fortunes to change in this segment, the manufacturer needs to rethink its strategy. Share your experience about this product with other users.